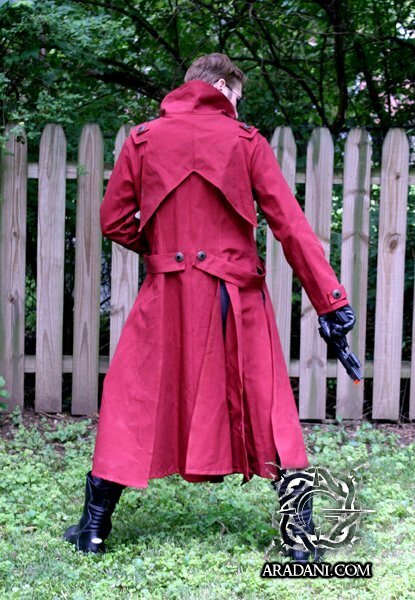 This is a new jacket designed by Laura Jones and it debuted at Ohayocon in 2013! 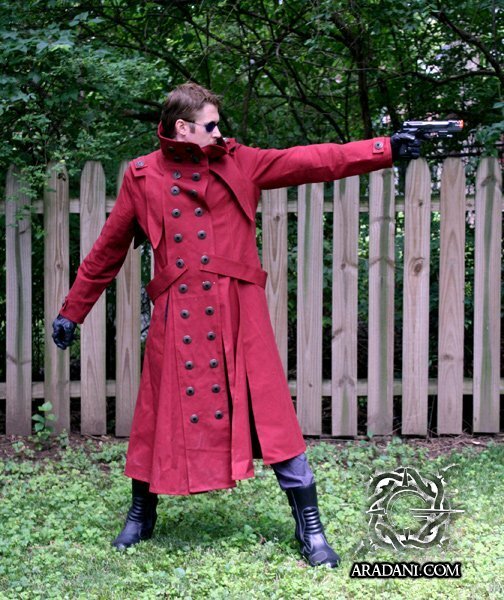 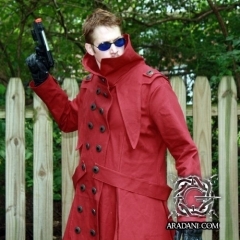 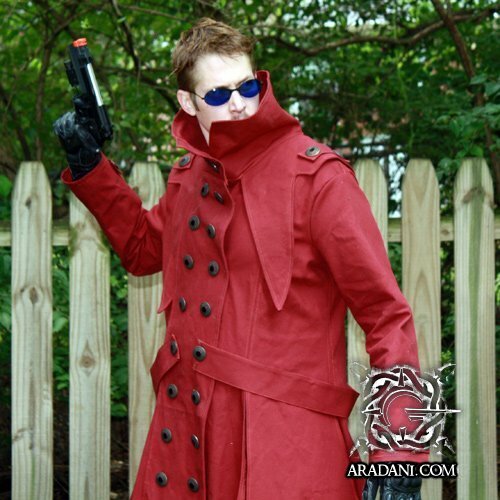 Based on the always popular Vash the Stampede, this coat is made our of a durable 100% cotton canvas. 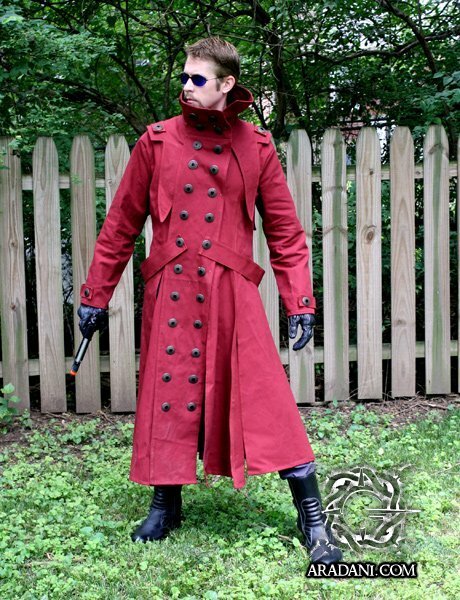 This allows it to breathe in hotter locations, and hold up to years of uses.